What is best buy credit card? The best buy credit cards are offered by one of the largest bank in the world that is Citi bank. The card gives you a lot of awesome offers which can help you win a lot of prizes as well from the best buy. Different reward programs are also offered by the company. The rewards program of the company also includes electronics in it. You can buy and get cash back as well from these international companies. We are going to discuss a complete review of the card and inform you about the draw backs and benefits of using this credit card. The company right now is offering visa and credit card to its customers and they both have their own benefits and drawbacks as well. We are going to compare these two cards a bit in this article. This will provide you unique and easy financing options. You can get easily 5% back in the name of reward after using this card. In case of the elite plus card the reward is 6% for all the customers of the card. If you use this card for the dining purpose you will get 2% in return from them for sure. A reward of cash back is given to all the customers for using the card on all the places where it is accepted. This includes a return of 1% only. The cash back and the rewards in this type of the card are for limited time only and you need to acquire them as soon as possible. Best buy credit cards are right now offering two types of visa cards to all the customers. 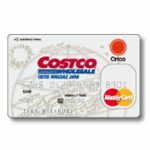 The platinum card of the company has a fee of 0$. The other type of the card is Gold and it has a fee of 59$ but the benefits are obviously much more. 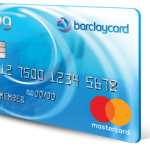 The card also offers a APR of 26.24% which can be varied as well for different customers. This completely depends on the financing options the clients choose for the company. They will also charge you late fees as well. The late fee for this card is 38$. This is the other type of the card which is given to the customers of the best buy. This card can only be used on the best buy. The reward for this this card holder is also 5% and in case of the elite plus the reward is 6%. 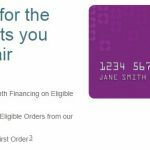 The financing options of this card similar to the visa card are very flexible. You don’t have to pay any fee for this card. They will charge you 0$ for the complete year. 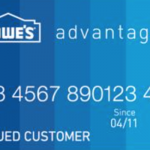 The APR of this card is also 26.24% unless you have acquired some special financing options from the company. The late fee for this card is also 38$. There are two types of the consumer cards by the best buy. These are Standard cards and the visa cards. The visa cards of the best buy company includes the Visa platinum and Visa Gold card. The visa card can be used anywhere in the world where it can be used. This shows that they can spend more and get more in return in the form of cash back. They are also given more features as far as cash advance is concerned and more options are available for balance transfer as well. They also have two cards which are named best buy credit card and the best buy credit card Preferred. All the standard cards can only be used at the best buy stores only. They cannot get advance cash or any other balance transfers as well. The return rate of the options is 5% or 6% only. All the rewards by the best buy are awarded on the basis of the points they earn for doing different buying and transactions. Once the level is achieved they can get their rewards from the company. The visa gold card also carries annual fees of $59 while no other card is having such a high fee. 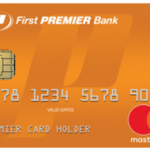 The different between the preferred card and the standard card is not that much. You can submit multiple applications as well and the final decision is by the Citibank and they are going to decide a card for you. The application for the card can be made online and in their stores as well. For the application online you need to make an account on the best buy first. The application for the card includes the filling of the application form which is a simple questionnaire about your personal information. The Citibank will then review your application and then decide which card suits you best. They may ask you for the transaction history as well to decide which card will suit you best. You will be considered for the following cards by the Citibank. The company will thoroughly consider you application and then decide which card is more suitable for you. You need a good credit score in order to get the best visa card from the best buy. The score needs to be 700-749. In case you are looking for standard cards of best buy you need to have at least a score up to 660-699. Some of the applicants of the card are approved right after they apply for the card. For other customers the time ranges from 7 to 10 days as well. One more point that you need to be over 18 to apply for this card. 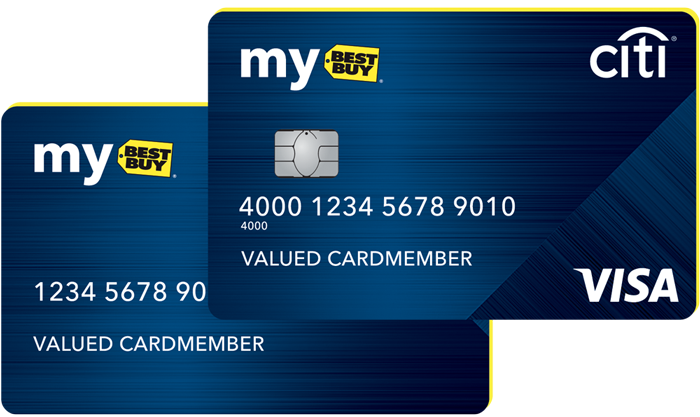 There are some specific bonuses which are offered by the best buy cards. 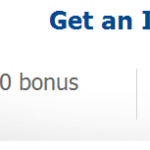 These days the best buy is offering a reward of 10% in the reward to all of their customers. 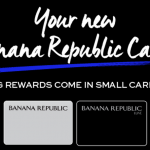 The best buy cards give you some of the best reward programs in the world. 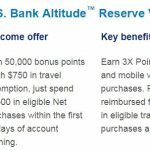 All the rewards program of the customers are controlled by the best buy themselves and not by the Citibank. In order to qualify for the registration you need to be verifying the card online as well. The cash back and rewards by the bank are listed below in details. The best buy card gives you cash back of 5% in reward to all of their customers. The best buy credit card also offers a reward of 5% to all of their customers. Both the cards have a cash reward of 6% for all the customers who are having the elite plus membership of the card. The visa card of the company also offers you 2% reward in case of dining as well. The visa card also has the feature that gives you 1% cash back for using it anywhere in the world where it is accepted. Apart from this the visa card also gives you the unexpected rewards at times. The card holders are given 2.5 points to each holder on spending $1. They are also given 5% in reward as well if they choose the standard credit of the best buy on different purchases. 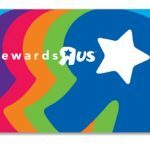 The members with elite plus status of the card are given 3 points in bonus on spending 1$. If they choose the standard credit they are given 1% reward as well. You need to spend at least $3,500 at all the stores and online of the best buy during a calendar year. 2% cash back is given to all the members when they spend on dining as well. They will receive a 1 point for spending 1$. They need to pay on the restaurants and the bars with their best buy cards. The card holders gets 1 point for spending 2$ anywhere. They also get 1% in reward from the company on their net purchases which are made out of the best buy stores where the visa card of the company is accepted. The visa cards are given these cash backs. Sometimes categories are selected and then given reward at different times. For example the gas stores and the grocery stores are given cash back of 3% by the company on their net purchases. Reward certificates are also given to all the customers of the best buy. On reaching the points of 250 they are given a 5$ reward certificate by the best buy. These rewards however can only be redeemed at the best buy stores and their online portal as well. The payments made via the mobile wallet sometimes are not eligible for the rewards and all other options. You need to use the physical card of the best buy to avail all these offers. You can also enjoy few extra benefits from the card and the programs by the best buy. After enrollment in the card you have complete access to the sales and the special offers of the company. All the shipping local is free of cost to all the customers. The setup is also free for the customers. You also have the fraud prevention while using the best buy visa credit card. The card replacement is also available to all the customers in emergency. The inquiry service of the card is also available for all the customers. They will also provide you extended warranty options. The services are also provided during the emergency and travel scenarios as well. The roadside dispatch for the customers is also available. There are both positive and the negative sides of each and every thing. The visa card of the company also asks for the annual fee as well if you ask for the gold card. Balance transfer fee is also applicable to the members of the visa card. This fee is not for the credit card holders of the best buy. Late fee is also charged by the card and that is up to $38. The card also asks for the return payment fee from all the card holders which is for the visa and credit card as well. The late fee payment is also up to $38. The best thing about these two cards is that they will not charge any foreign transaction fee to the clients. The late fee is not a good thing because in case you cannot pay on time the late fee is quite hefty by the card. The standard APR charges are also for all types of the card holders of the best buy credit cards. The annual fee for the gold card is a big problem and should not be there at all. 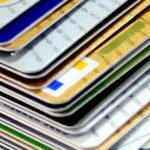 You need to spend almost $1200 on all the stores and dining to recover the fee of the card from the company. This recovery is in the sense of the rewards offered by the company. You can easily view all of your statements online. Easily pay all of your bills online using this card of the company. All the account activity can be managed from this online resource. All the exclusive offers are also available to the members of the card and can be viewed after logging in to their account. All alerts are also given to all the members of the card via their account. The card enables you to pay all over the world wherever the card is accepted. You can pay your bills and all other stuff can be bought online using the best buy credit card. The purchasing from this card not only eases your life but gives you rewards and cash backs as well in return. Best buy credit card bill pay is also a facility which can be availed by logging in to your account. A good customer service is the identity of a good company. They provide 24/7 customer support to all of their customers. You can also view the homepage of the company and contact them there as well. You can send all the questions and other queries related to the company to them easily. You can shop at the best buy stores and buy a lot of goods and electronics from there. 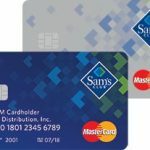 If you are a responsible card holder this card can be really good for you. The branded cards of the stores offer you a good thing in the sense of the points. The points system is not offered by most of the other cards in the world. 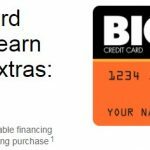 You can utilize this offer of the card and earn big reward in return. The APR of the card is really high so this means if you are not able to pay you balance on time the card will be quite bad for you. 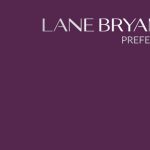 Make sure you don’t stretch your payments for a longer period of time and manages them well. 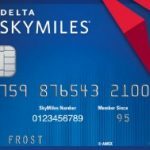 Another thing about this card is that if you are thinking to spend the reward earned anywhere in the world, they don’t support this option at all. The rewards earned from the credit cards are redeemed on the best buy stores only and online only. This is like a small limitation for the customer but overall this is a good card and can be used by the customers for easy paying online. The card is recommended to everyone and is a good choice in this fast world. Especially of you is a regular customer of the best buy stores this is the best thing in the world for you. 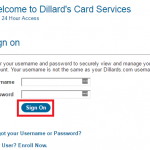 Register for the card easily and earn all the benefits from the card. The advantage is that the stores of the best buy are stretched all across the country which makes it really good for you. 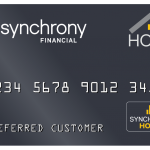 Register for the card today and earn all the offers and rewards from the company. Best buy cards are available for all the customers of the bank as well. Avail the card and then let us know about your experience with this card. In case you think some other card is even better do let us know about it in the comments below.